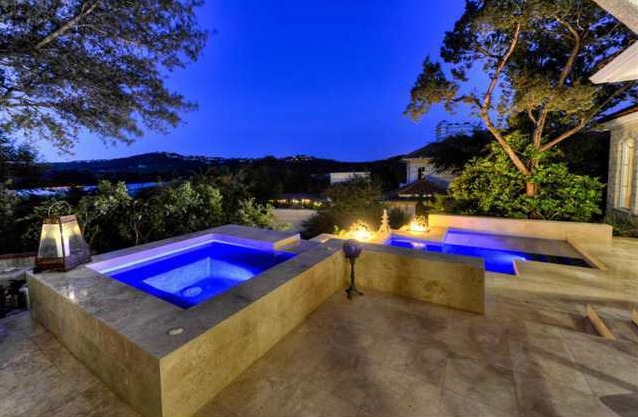 The idyllic setting of this very private, gated luxury Lake Austin home is absolutely amazing. 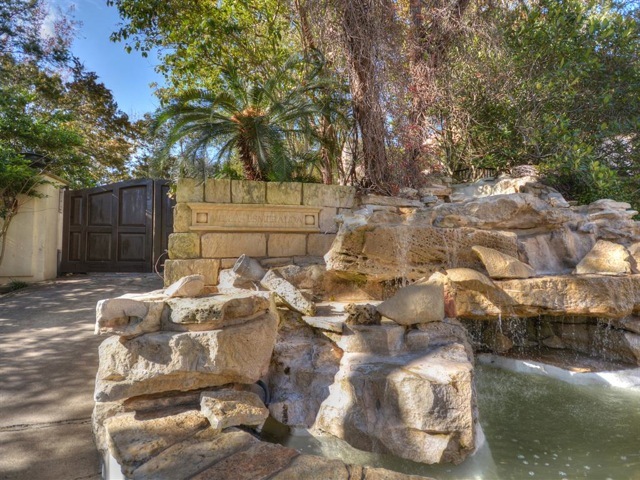 Large trees, water features, zen gardens enhance the surroundings while adding to the feeling of "getting away from it all." 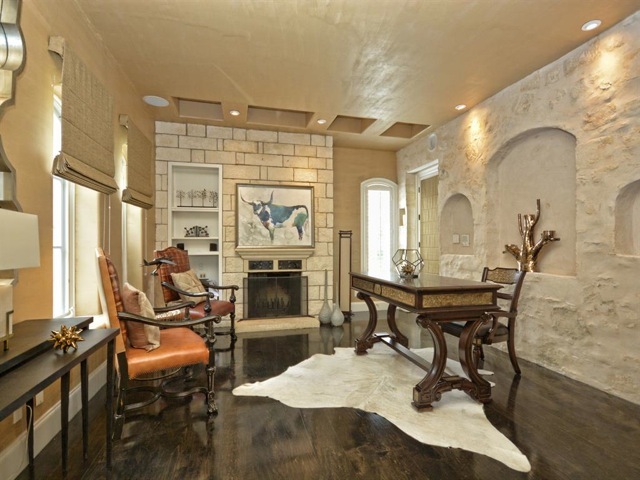 Yet, its location is only fifteen minutes away from Downtown Austin action. 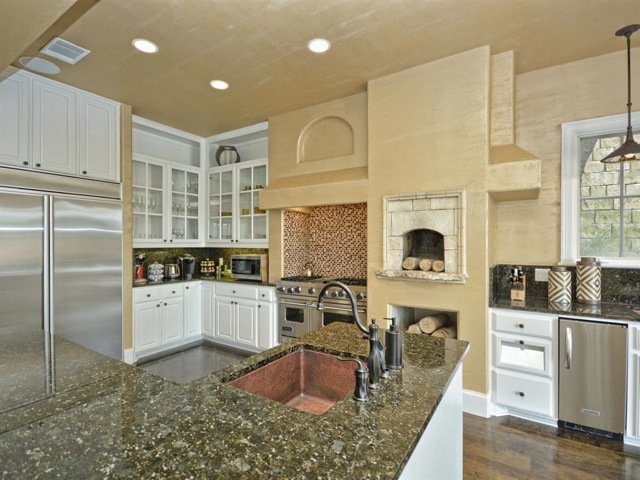 This home features a main home with 4 bedrooms and 4 1/2 baths. 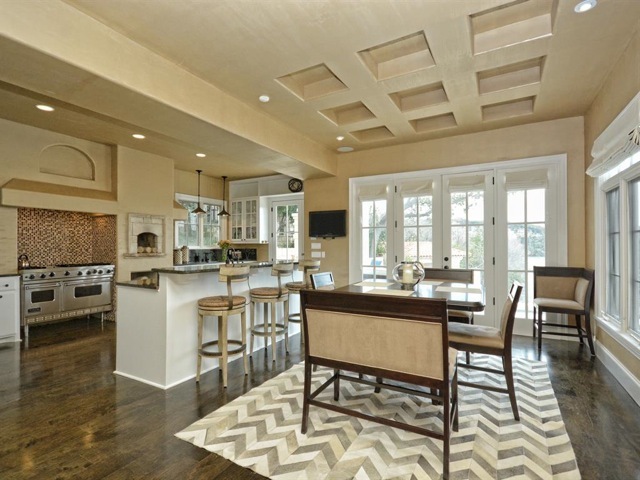 It has over 4600 sq. 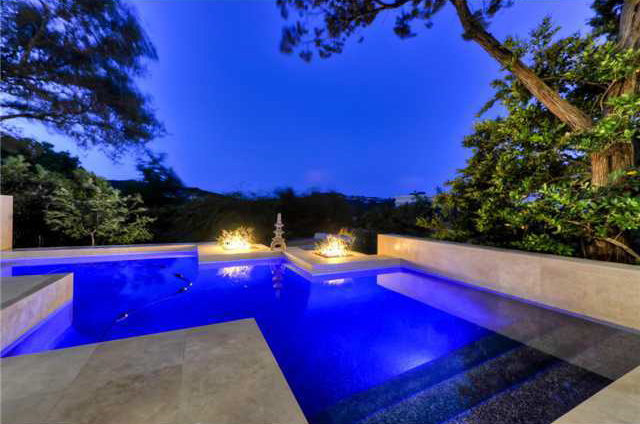 ft. with all of the conveniences and refinements you would expect of a luxury property such as contemporary furnishings, hardwood and stone floors, terraced yard, architecturally enhanced pool and spa, and granite and marble throughout. Stepping into the home you will be greeted with an exquisite onyx wall water feature while stepping onto the stone floors. 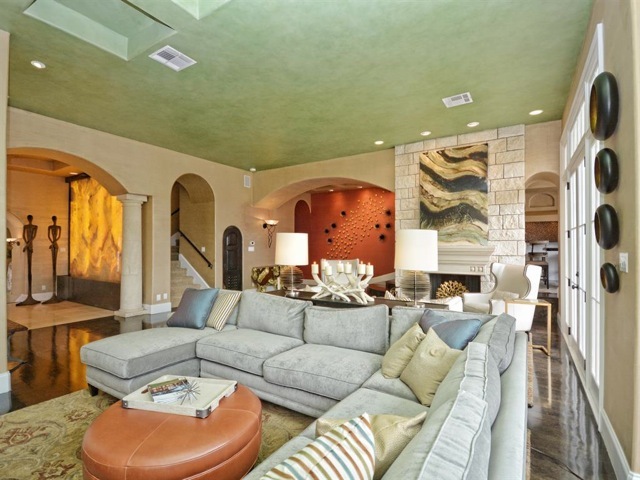 The living room has two large sofa areas back to back to allow for those who want to watch the large screen television and others who would rather have conversation or enjoy the fireplace and views. 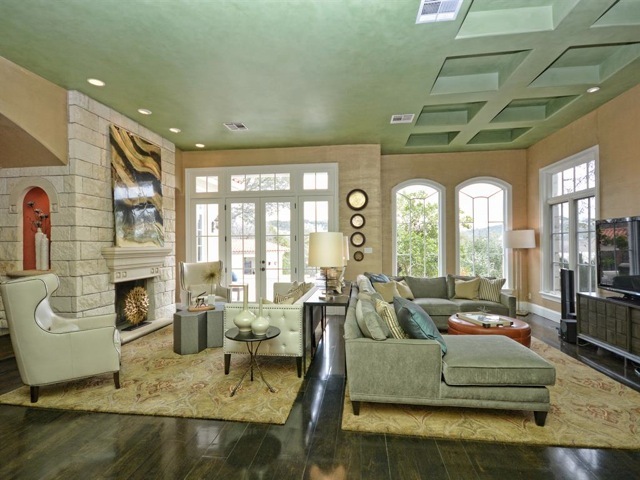 Sliding glass doors open from the living room out to the pool and spa with sweeping Lake Austin and Hill Country views. 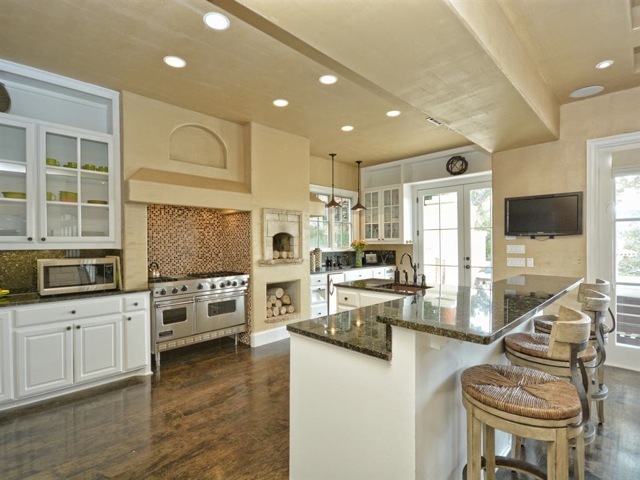 A spacious gourmet kitchen has Sub Zero and Viking appliances, custom granite and marble features. 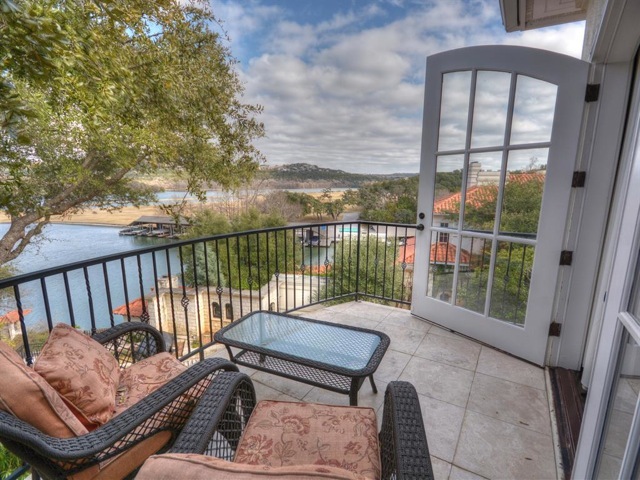 Master Bedroom suite has a king size bed, fireplace, sitting area and a balcony with grand views of Lake Austin. 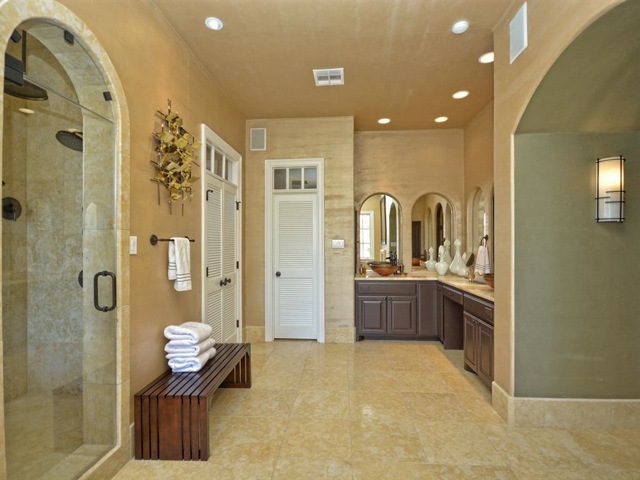 Master Bath has a fireplace, jetted tub, separate shower, double vanities, toilet and bidet. 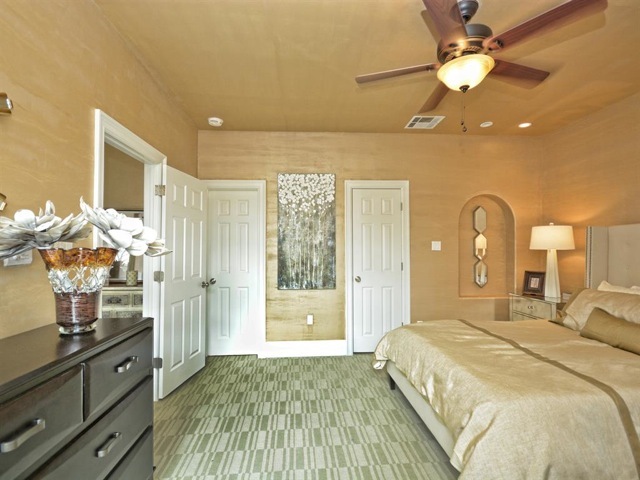 Bedrooms 2 and 3 have a seating area, and each bedroom has a queen size bed and private bath. 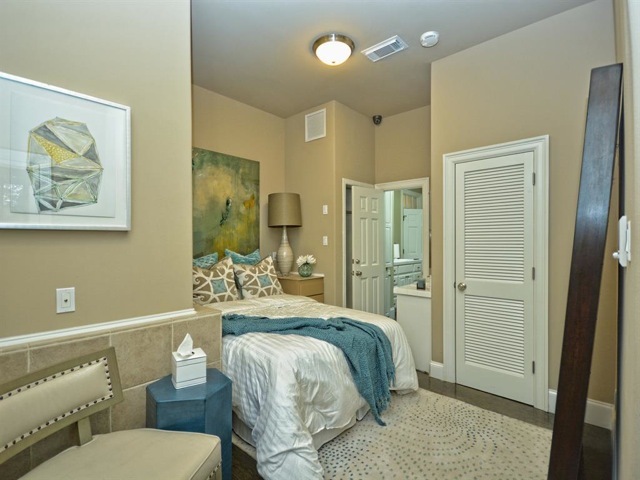 Bedroom 4 is a smaller bedroom with a double bed, small bath and a small refrigerator. 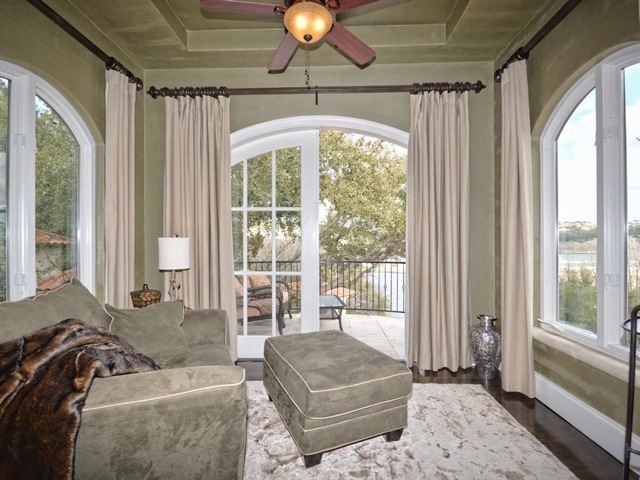 It also has a separate entrance and would be ideal as a nanny's or maid's quarters. 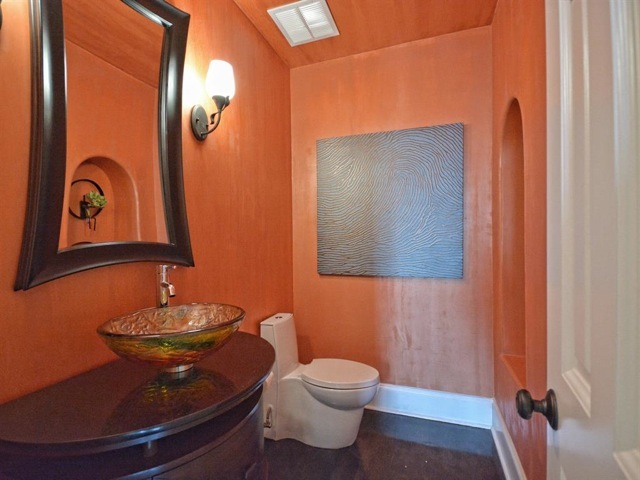 There is a study with a private half bath. 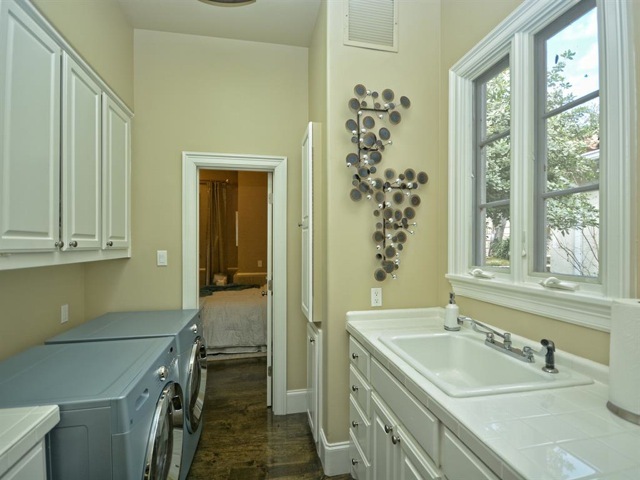 There is also a laundry room. 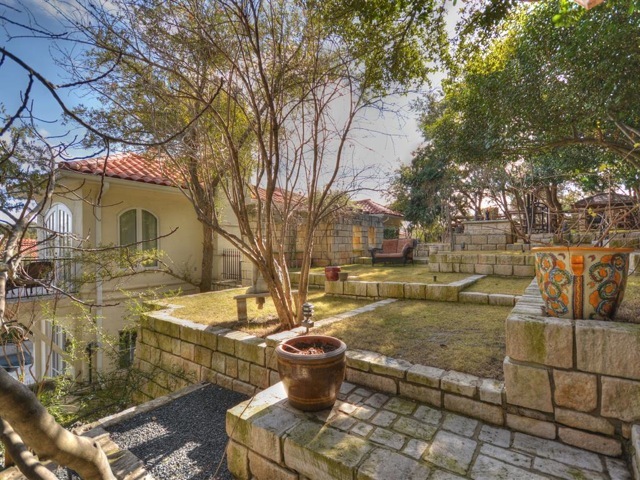 SERENE, TERRACED BACKYARD. 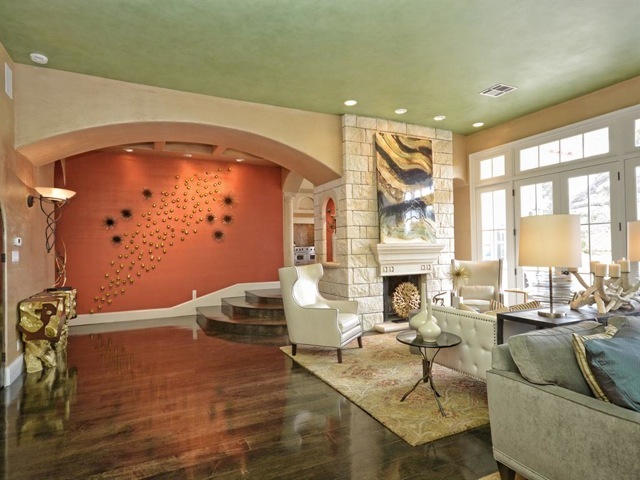 . .
Only a short walk from the home is a private boat slip and easy access to Lake Austin. There is a boat launch only minutes away near the 360 Bridge. 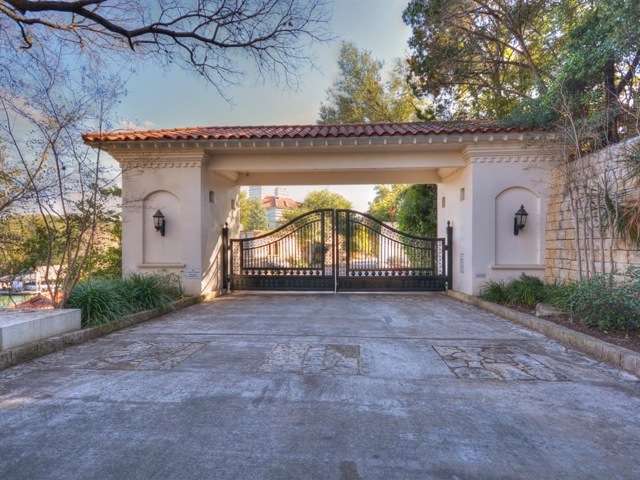 Since Esmeralda Villa is a gated home within a gated community, you couldn't ask for a more private home. ESMERALDA, THE PERFECT GETAWAY. 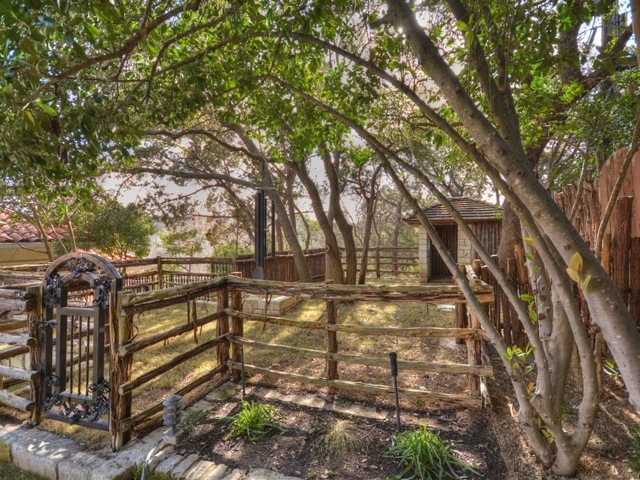 . .
Only minutes away from Austin yet in a setting that is private and serene, this home offers the best of both worlds. 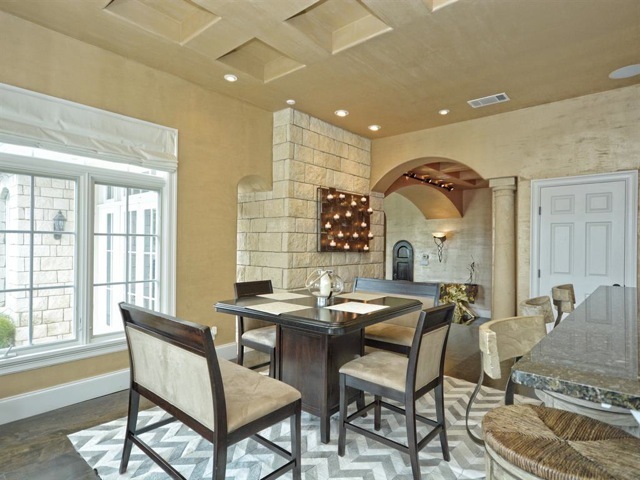 You can unwind and relax with all of the special water features and landscaping but yet you are close to all that Austin offers in the way of entertainment, music, dining, sports and museums. Come and enjoy this wonderful paradise! 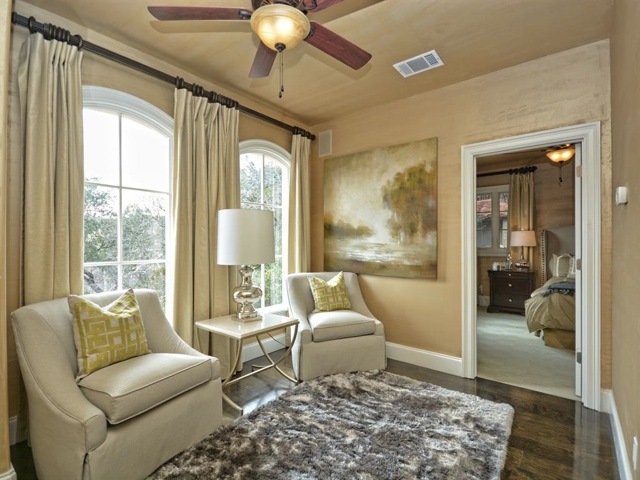 SWSW, Holidays, ACL rates are higher. Please call for more info. Refundable Damage Waiver Deposit is $5000.00. WHERE IS THE CLOSEST. . .
BOAT RAMP: There are two public boat ramps nearby. The closest one is located at the 360 Bridge. The other one is at Emma Long Park at the end of City Park Road. Come party at the Hula Hut! Uniquely situated on the bank of beautiful Lake Austin, this restaurant features a unique mix of Mexican and Polynesian cuisine, known as "Mexonesian. 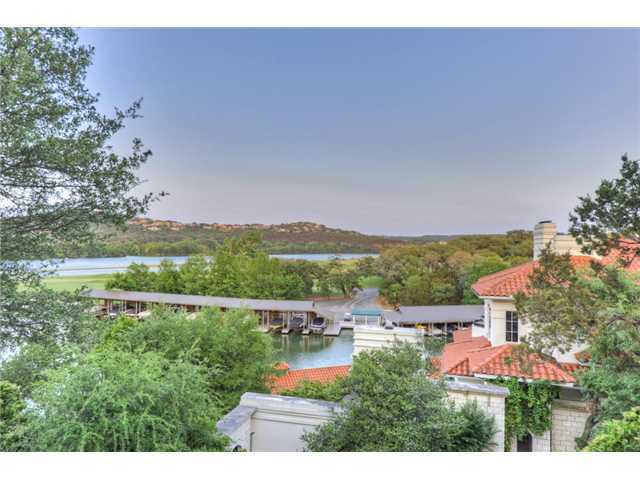 Come hear live music on beautiful Lake Austin. When it's a hot summer day and you have been skiing on Lake Austin, nothing beats a cool drink and a greasy burger!! A popular and upscale coffee house that offers gourmet coffees from around the world with a variety of delicious desserts baked at their on-site bakery. The views of the Lake are breathtaking! Abel's on the Lake has over 60 beers on tap--a great place to visit with your friends. The elegant Aster Café at the LakeHouse Spa offers a gourmet lunch menu to complement your spa experience. GOLF COURSES There are many golf courses located in Austin. Check our page for private, semi-private and public golf courses. Name the #1 Destination Spa in North America by the readers of Conde Nest Traveler magazine. 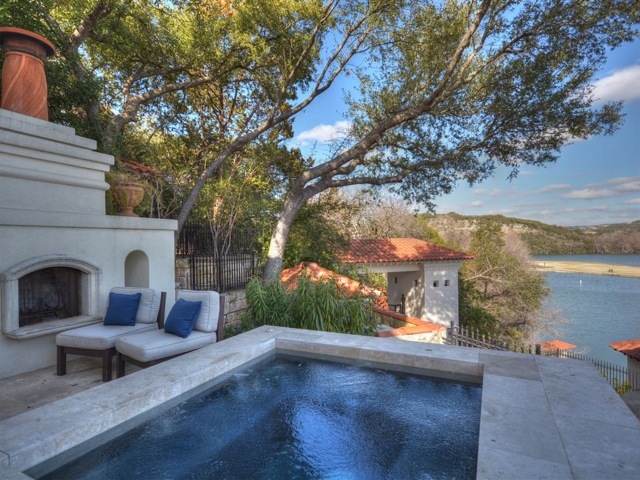 the Lake Austin Spa Resort offers the luxury of a world-class spa in a unique atmosphere. Small shopping center with liquor store, restaurants, pharmacy and shops. Lake Austin parks: Emma Long Park , Commons Ford Ranch Park, Fritz Hughes Park, Loop 360 Ramp, Mary Quinlan Park, Selma Hughes Park, and Walsh Boat Ramp. For a special event on Lake Austin, visit Lake Austin Riverboats. They will tailor their riverboats to complement your event perfectly. Bank access can be found at the Capital of Texas Highway (Loop 360) bridge, at Emma Long Park, Mary Quinlan Park, and Fritz Hughes Park near Mansfield Dam. 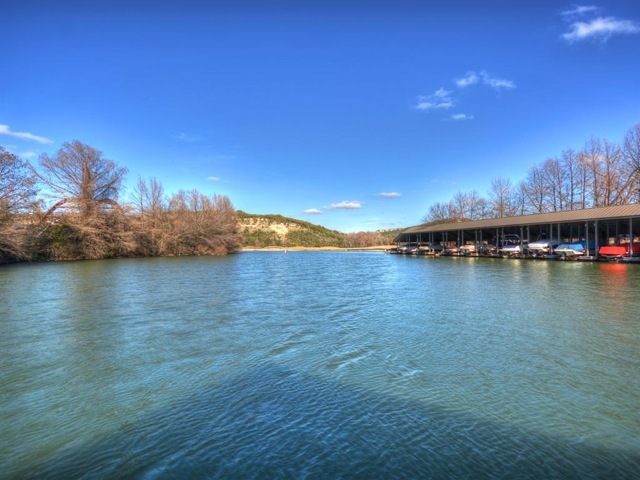 Two excellent concrete public boat ramps are available: the Walsh Boat Landing, located off Lake Austin Blvd., and a ramp below the Loop 360 bridge. 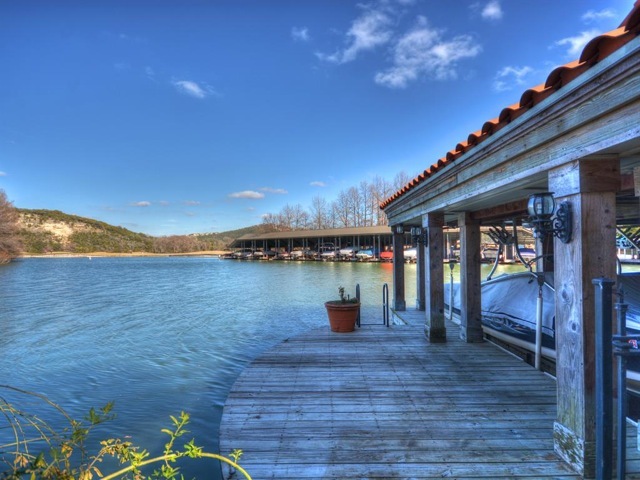 The Walsh Boat Landing features a dock and two-lane boat ramp for launching into Lake Austin. Open water swimming is popular at this location, and several picnic tables and a public restroom are available. The Lower Colorado River Authority (LCRA) headquarters is located across the street. Additional ramps are located at Emma Long Park and Mary Quinlan Park. City of Austin Parks and Recreation Department, (512) 499-6700.